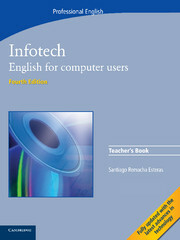 Fully updated in line with the latest developments in Information Communications Technology, this edition teaches students the language and skills they need to understand and work in the world of computers. A focus on terminology is combined with vocabulary and grammar practice to give students the tools to use English in areas such as describing features and functions, chatting online, applying for jobs and discussing the world of ICT. The Teacher's Book contains detailed teaching notes for every unit, extra technical information and a photocopiable test for each of the eight modules. 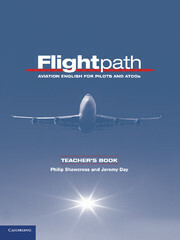 Flightpath is the definitive course for pilots and Air Traffic Controllers who need an ICAO4 level of English to work in the industry.